In the heart of Northern Virginias Dulles corridor this center offers fully furnished offices, conference rooms, a rooftop terrace, an on-site deli and a fitness center. It is also situated just minutes from Dulles International Airport. The locality extensive transportation infrastructure makes this professional center and business establishment easily accessible from any part of the general region and beyond. This highly prestigious and technologically sophisticated business center establishment is situated very close to the many transport services offered throughout the immediate locality and wider surrounding areas, with a number of workspace solution packages including virtual office space is now available at this center. The building comes with conference, mail and state of the art internet facilities. Easy freeway access via I-495 and to DC, these serviced offices based in Reston offer many professional amenities. Onsite fitness centre offered and beautiful views across the Blue Ridge mountains. Rental services space offered at this Reston Town district location. This is based in Northern Virginia and easy access to DC and Airport. Lots of upscale restaurants and shops with hotel accommodation nearby. The latest technology is offered with many other amenities. 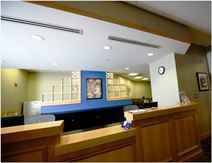 Service space located in Reston Town close to the DIA and a short drive to DC. Minutes’ to lots of shops and eateries. CAT5 wiring offered for high speed network access. High quality furnishings offered throughout. Admin support with friendly staff available. The regional transport services are also very good and provide easy access to the center itself from afar, as well as the surrounding areas of the region. This center located in Metro Wiehle in a diverse area combining fashion and entertainment for exciting opportunities. This center is a 10-minute drive to D.C. for anyone doing business in the area. It is located just 20-minutes from the International Airport. 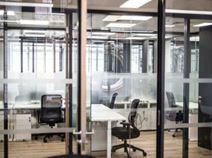 The on-site management team will be happy to assist in meeting your business needs with coworking or private options to suit you and your teams needs. Well placed rental offices in this technology park of Reston close to the Dulles Toll Road. Lots of nearby shopping and dining amenities offered. Minutes’ to the gym. The centre offers generous meeting room space equipped to accommodate large group of people.